BOA Announces Barbados’ Flag Bearer For The Olympic Games – Barbados Olympic Association Inc. The Barbados Olympic Association Inc. (BOA) today announced that Ramon Gittens would be Barbados’ Flag Bearer for the Rio 2016 Olympics. Gittens will perform this duty tomorrow at the Opening Ceremony parade, scheduled for 7pm local time. The protocol and splendor of the Olympic ceremonies, which go hand-in-hand with the celebration of the Games as everyone knows them today, make this event unique and unforgettable. 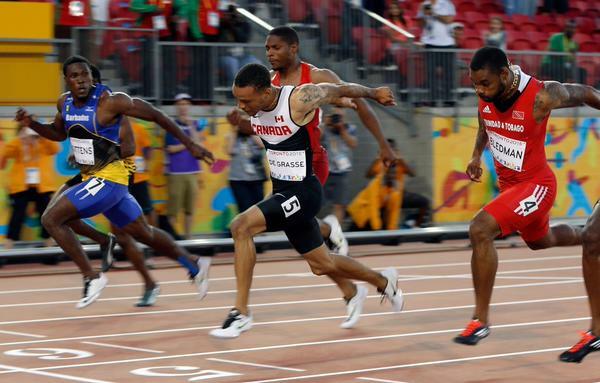 This will be Gitten’s second time representing Barbados at the Olympics, and he will do so in the 100m and 200m events. Gittens was the BSSAC champion in the 100m and 200m while at the Lester Vaughn Secondary School. In 2001 at the CARIFTA Games in Trinidad he placed 3rd in the under 17 division and won a silver medal at the 2015 Pan American Games. This year Gittens received the BOA’s most prestigious awards, Senior Male Athlete of the Year and the President’s Award. At the Olympic Games, the parade of the participants reflects both the changing world and the growth of the Olympic Movement. The number of National Olympic Committees (NOCs) present at the Opening Ceremony has increased from 22 in 1908 to 204 in London in 2012. Tradition dictates that the delegations parade in alphabetical order according to the language of the host country, except for Greece, which leads the parade, and the host country, which brings up the rear.